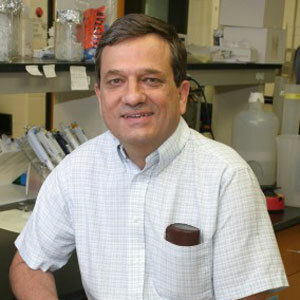 Dr. Osborne obtained his Ph.D. in aquatic ecology from the University of East Anglia, United Kingdom in 1978. He has 35 years’ experience in tropical ecology research, education and environmental consultancy in Zimbabwe, Malawi, Papua New Guinea, Australia, Kenya, Tanzania and the Philippines. He served as the Executive Director of the Whitney R. Harris World Ecology Center at the University of Missouri-St. Louis from 1996-2012. He facilitated PrimatesPeru’s volunteer program for the last two years, through a fiscal sponsorship through the Harris Center. During his time at the University of Missouri-St. Louis, he managed the most wonderful program that brought students from all over the world to the Masters and Ph.D. programs.